OmegaCo3-SE™ OmegaCo3-SE™ is based on our successful OmegaCo3™ formula and is now available as a softgel for those sensitive to taste or looking for additional convenience. OmegaCo3-SE™ is based on our successful OmegaCo3™ formula and is now available as a softgel for those sensitive to taste or looking for additional convenience. 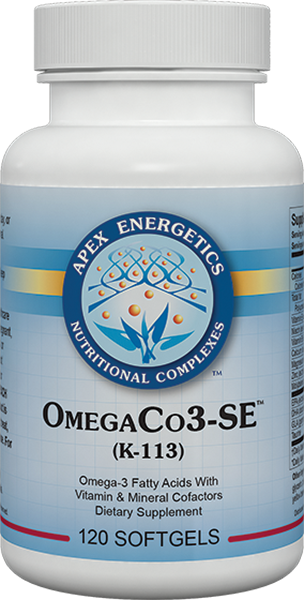 This product is intended to support the brain and the immune system with a unique formula that includes 975 mg of IFOS™ and GOED™ certified omega-3 and omega-6 fatty acids (DHA 375 mg, EPA 500 mg, GLA 100 mg) per serving, as well as essential cofactors, including 115 mg of targeted vitamins, minerals, and the amino acid taurine, to provide additional support for cardiovascular health. 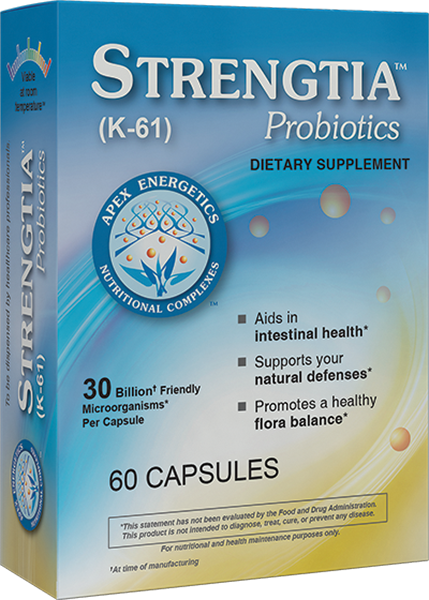 * It is an excellent source of vitamin E, zinc, and molybdenum, and includes high-potency vitamin B6. Also available in liquid form as OmegaCo3™ (K07). Other ingredients: Fish body oil (Alaska pollock), softgel (gelatin, glycerin, purified water, annatto), safflower oil, yellow beeswax, natural lemon flavor, sunflower lecithin.